The Ocea International is located in a bustling part of the city surrounded by shopping centres and restaurants. 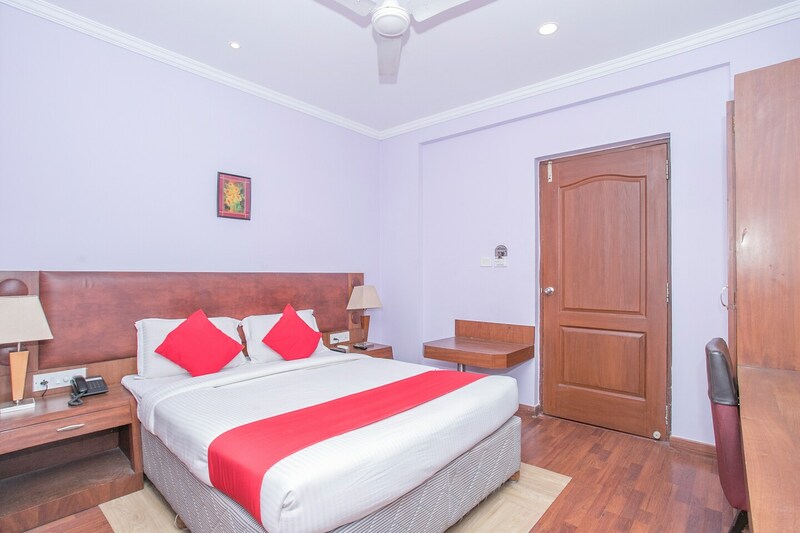 The rooms are designed keeping in mind the basic necessities of the guests. The bright curtains complement the overall decor of the room and the cushioned headboards make the stay comfortable. The in-house restaurant offers sumptuous meals to the guests adding to their convenience. Free Wi-Fi can be used by guests to stay connected to social media or to catch up on work. Power backup and CCTV cameras ensure the security of the guests. Elevator and parking facility is also provided by the hotel.